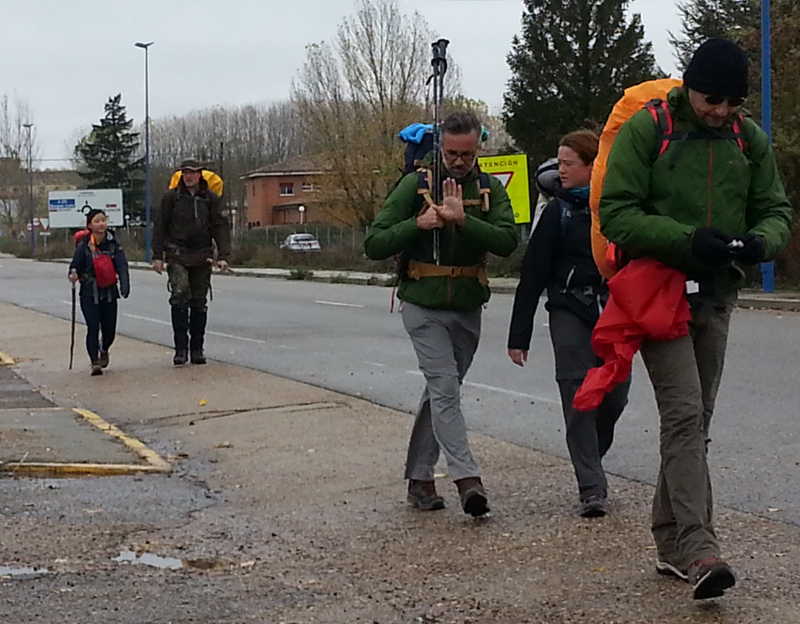 This included the longest stretch on the Camino Frances without services – no cafes, bars, accommodation for over 17 km. Just a couple of picnic tables and benches, which were very welcome! Here’s a photo of a clump of pilgrims starting the long stretch. There is, I think, a Korean, German, Irish, French and Spaniard here. 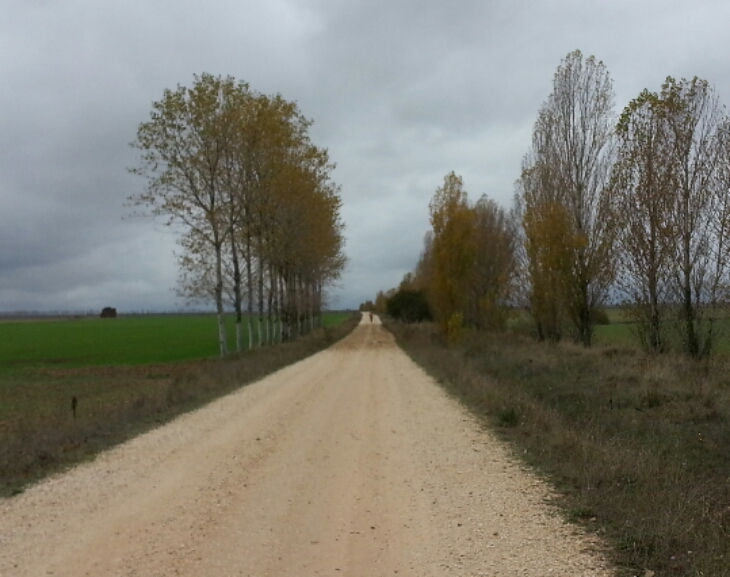 I so enjoyed this walk last year on a glorious fall day, my last full day on the Camino. I tossed some of my parents (ashes) in this area. This year the weather was grey and threatening rain. Music works miracles at the end of the day! 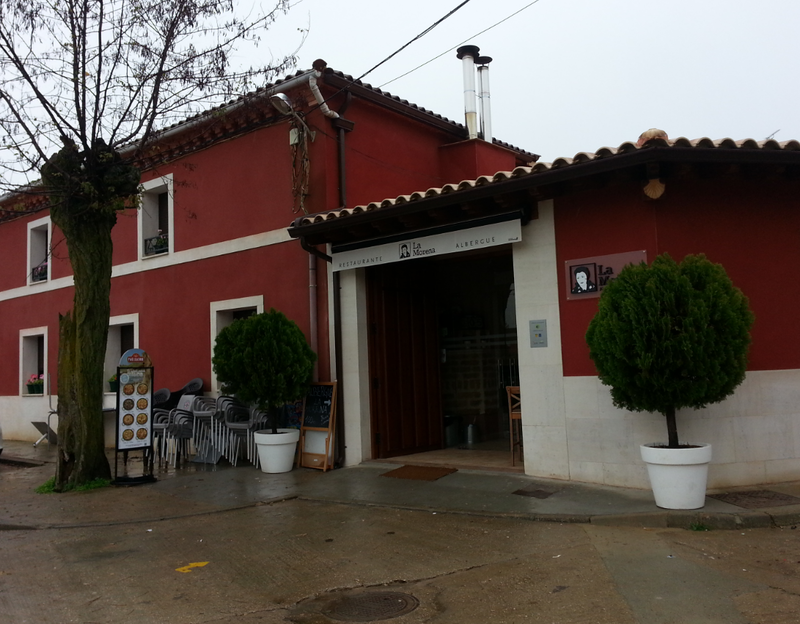 In Ledigos there is a brand new albergue, La Morena, which was positively stylish and I had the best sleep of my Camino, in a room by myself. 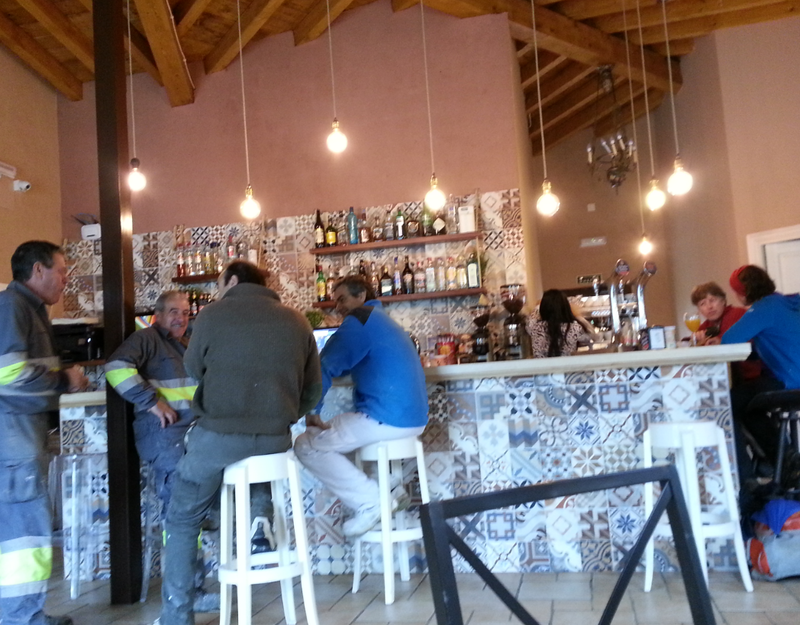 Below is a view of the bar, after the local workers had stopped by for a morning break . Breakfast was also the best one of the Camino. I gobbled it up before thinking about a photo. Freshly squeezed orange juice, cafe con leche, Spanish omelet, and toast spread with grated tomato. November 6, 2015 in Camino 2015.